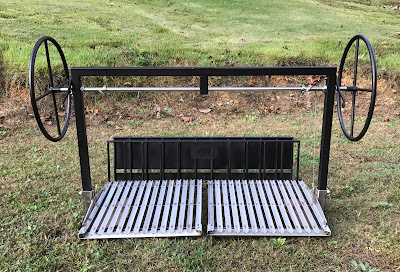 Note that this grill kit, destined for Australia, has cantilevered grill grates.The reason we did this was because the customer wanted a whole animal rotisserie, and usually, the center rails conflict when we have a split grill. 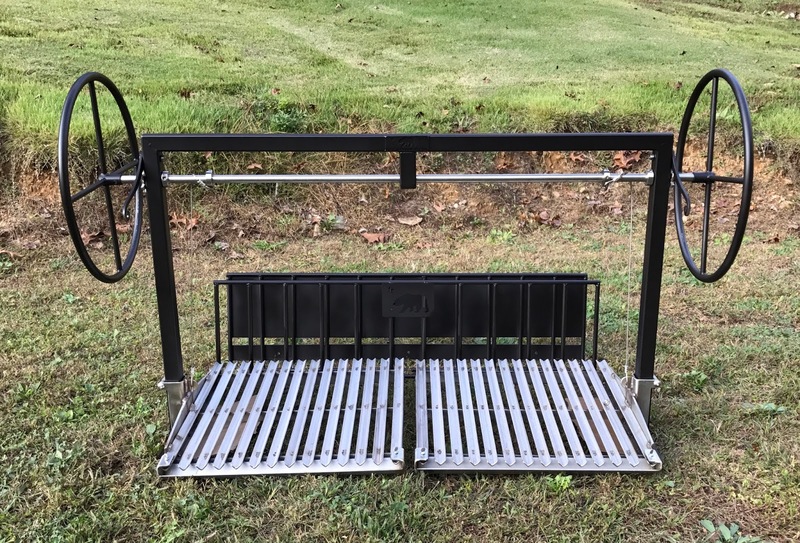 Coupled with our new snap on rotisserie brackets, we are able to add a rotisserie to any grill with no modification of the grill. 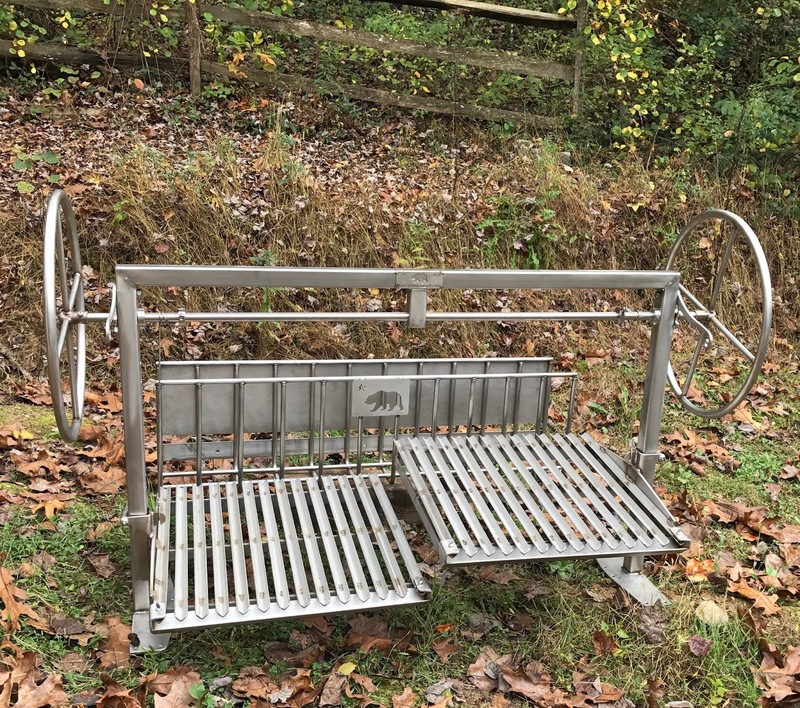 The rotisserie can also be assembled or disassembled for cleaning without the use of tools, meeting the requirements of commercial restaurants. OK, this is something that we don't usually do, but the customer wanted stainless steel painted black. Aesthetics. Congratulations on this awesome cantilever design! It is great that one can remove the grates to make space for the whole animal rotisserie. Can you combine this design with your “All Stainless Wood Stove and Grill Component System (Product Code: STAINLESS-STEEL-STOVE-SYSTEM”? 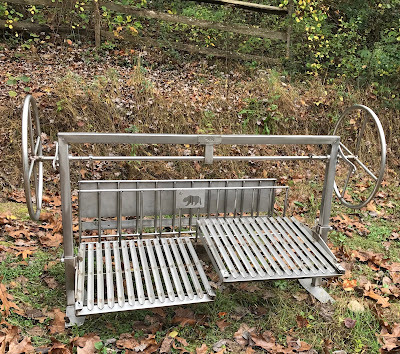 This would provide the ability to add height-adjustable-modules like the Plain Plate, the Plate with French Top and maybe in the future even a height-adjustable “Churrasco Brazilian Electric SS Rotisserie Grill.” If you can build it like that I’ll buy it.